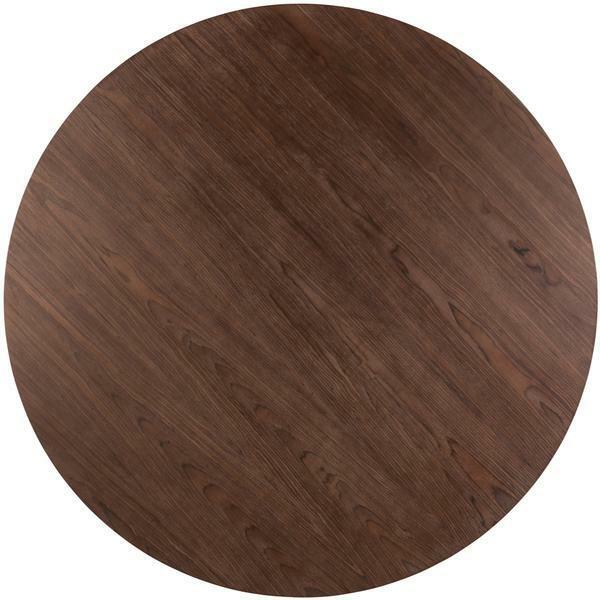 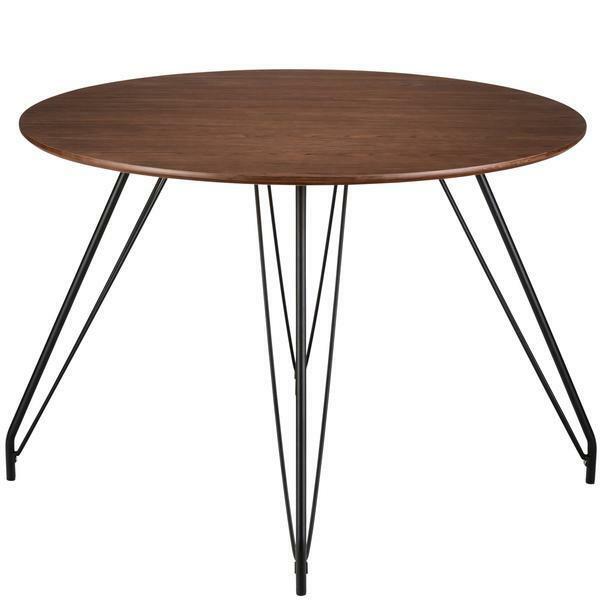 The Jessica Dining table boasts a beautiful walnut veneer table top and powder coated steel hairpin legs. Unmistakably mid-century in style, this table will add that cool factor to your space. 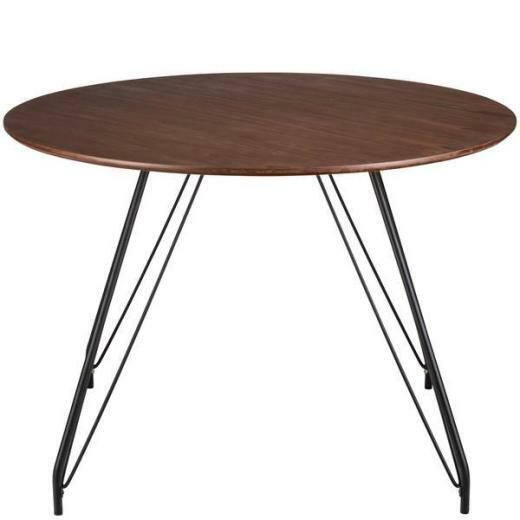 The dichotomy of the table top and legs presents a beautiful mix of curves and angles.